In an apparent surprise to GOP leaders, rank and file members of the House voted down an economic development bill Tuesday that because of unusual legislative maneuvering needed to pass to pave the way a bill that would have allowed local school districts to save more teacher assistants’ jobs. “The teacher assistant fix to the budget that we need should not be held hostage,” said Rep. Larry Pittman (R-Cabarrus), who was frustrated by the Senate’s insistence that in order to save teacher assistants’ jobs, House members must agree to legislation that provide a package of economic incentives and cap local sales tax rates. While some lawmakers say the 2014 budget that just passed provides enough funding to preserve teacher assistants’ jobs, local school districts are reporting otherwise – hundreds of teacher assistant positions are being eliminated this fall thanks to a budgetary maneuver that siphons $105 million out of the TA funding stream that lawmakers previously budgeted for during the 2013 legislative session. But the General Assembly also provided local school systems with the flexibility to move that money– which is largely sitting in a pot for teachers–back into funding for teacher assistants if they so choose. At the same time, however, they didn’t properly set a funding formula, resulting in districts being unable to access all of the funds they need to preserve jobs for this fall. That funding formula fix for teacher assistants is hanging in the rafters as the end of the legislative session nears—and unless a last minute Hail Mary gets tossed into the air, North Carolina’s schools will face the prospect of losing teacher assistants for another year in a row. During this year’s legislative session lawmakers used teacher assistants as political footballs, lobbing them back and forth as either a group deserving of losing their jobs—Senate budget writers proposed ridding the state of half of its TAs to pay for teacher raises—or, as the House and Governor Pat McCrory preferred, saving them from the chopping block. Earlier this summer, the Senate’s budget proposal opted to pay for hefty 11 percent teacher raises by stripping $233 million away from teacher assistants, which would have wiped out all TAs in the second and third grades. But House lawmakers fought back hard, with Speaker Thom Tillis (R-Mecklenberg) teaming up with Gov. McCrory to propose a teacher pay raise of 5 percent and keeping all TA jobs intact. Ultimately a compromise was hashed out for the final budget bill passed two weeks ago. An average teacher pay raise of 7 percent (that in and of itself a hotly contested figure) was coupled with what lawmakers said was a full preservation of teacher assistants’ jobs. Governor McCrory, who pledged to veto any budget that cut TA jobs, said he was proud to sign the budget. And Speaker Tillis told a group of reporters as he pushed for his budget plan, “I want to let TAs know that they have a job,” as the school year approached. But according to the N.C. Department of Public Instruction’s Chief Financial Officer, Philip Price, the budget lawmakers signed this summer does not preserve teacher assistants’ jobs. Instead, it actually spends $105 million less on TAs than what was planned for the upcoming year, which means local school districts are taking a 22 percent hit to their teacher assistant funding stream – and that’s on top of huge cuts to TAs over the past several years. Chapel Hill-Carrboro City Schools must eliminate 22 teacher assistant positions this fall. Charlotte-Mecklenberg was left with a funding hole that didn’t cover 90 teacher assistant jobs, although they hoped to use local money to fund the difference. Cutting teacher assistants not only affects the classroom – it affects transportation services too. Many school districts rely on TAs to drive school buses as well. The loss of TAs meant that in places like Cumberland County, custodians, cafeteria workers and bookkeepers would be pulled from their duties to drive school buses. “So as a result, most schools won’t be as clean, we’d have trouble delivering food services, etc…we’d just go without in order to get students to school,” said Cumberland County Superintendent Frank Till. Lawmakers moved a large chunk of that $105 million dollars out of teacher assistants and into a fund to pay for classroom teacher positions. Speaker Tillis said it was a budgetary move to reflect the reality that school districts were already using that money to pay for teachers. If local school districts wanted to use that money to preserve teacher assistant jobs, they were welcome to do that, said Tillis and other GOP budget writers repeatedly. They just had to move that money out of the classroom teacher fund and back into the teacher assistant fund. Eight-five million dollars was moved out of teacher assistants and into classroom teacher funds. 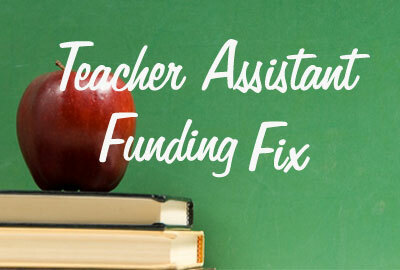 Local school districts would only have access to a portion of those funds once again were they move them back into the TA fund – unless a formula funding fix were provided by lawmakers, allowing them to access all $85 million and preserve all teacher assistant jobs. 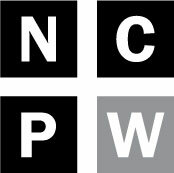 The N.C. Association of School Administrators and DPI worked with Gov. Pat McCrory’s education staff behind the scenes to come up with a solution to the funding scenario. Ultimately, the Senate stripped HB 718 and inserted language that would fix the teacher assistant funding problem – but it also included language about a controversial measure to cap local sales tax rates, forcing the House’s hand in order to get the teacher assistants they wanted. HB 718 hasn’t made its way back through the House yet, as it is now tied to both the sales tax cap legislation as well as the economic incentives bill, HB 1224, which died yesterday on the House floor. Presumably, this means the teacher assistant funding fix is dead too, unless the Senate budges on their position during the waning hours of the 2014 legislative session. “We hope that the General Assembly decides that [teacher assistant funding] is important enough that they pass it on its own merits,” said Leanne Winner, a lobbyist for the N.C. School Boards Association.